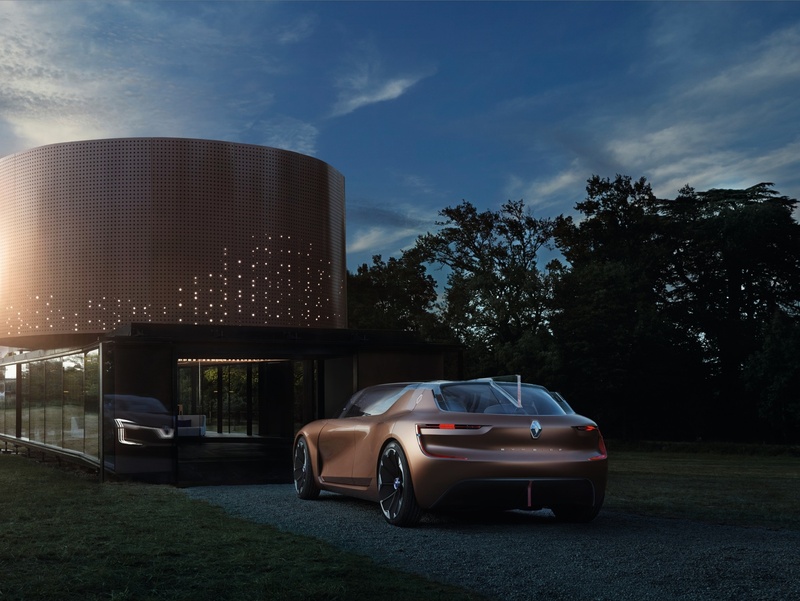 Lighting designers from Philips Lighting (Euronext Amsterdam ticker: LIGHT), a world leader in lighting, have collaborated with the automotive company Renault to create a concept car and smart home presented at the Frankfurt Motor Show 2017. 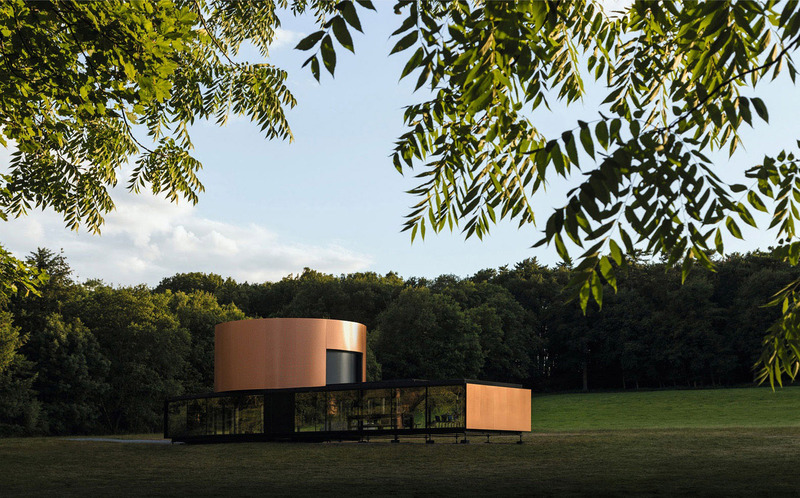 It is located in Frankfurt am Main, Germany, and was designed by the architectural firm Marchi architects, with architects Nicola Marchi and Adelaide Marchi, in 2017. 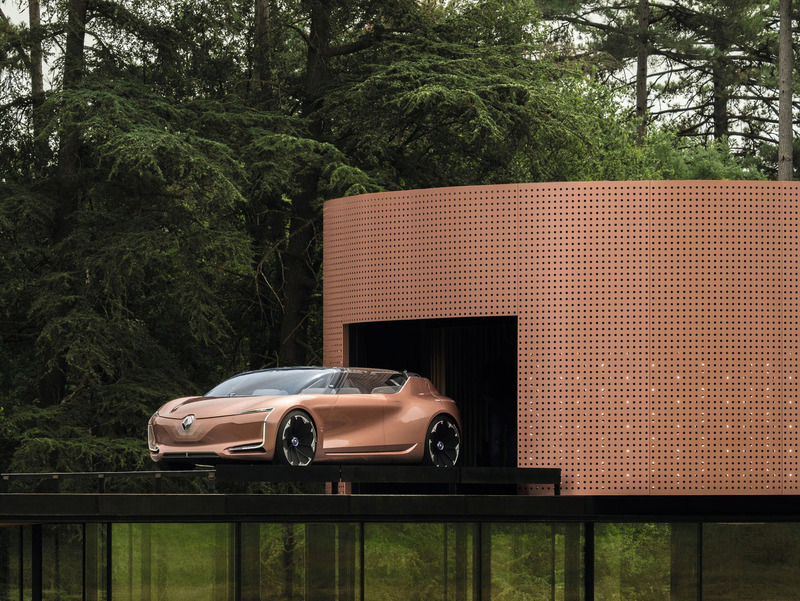 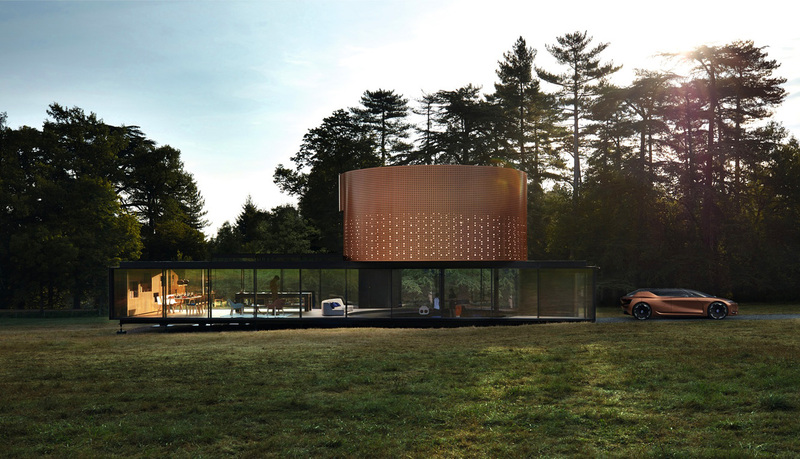 The self-contained electric car SYMBIOZ is not just a car, but an extension of the home. 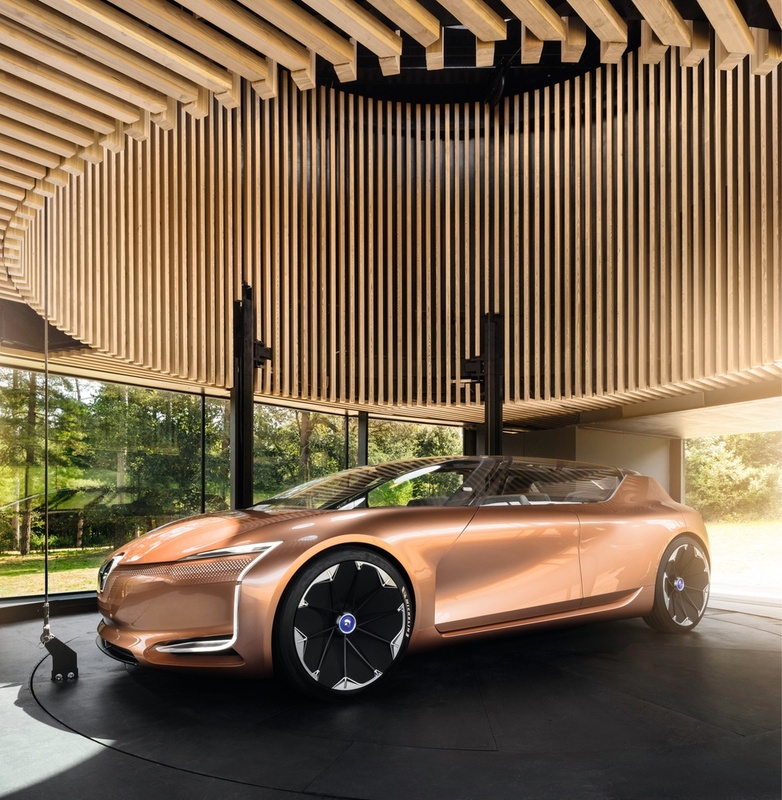 The digital technology of the vehicle makes it an interactive and personalized space that can connect its passengers with other cars, people, and technologies in the smart home, as well as LED lighting connected to Philips. 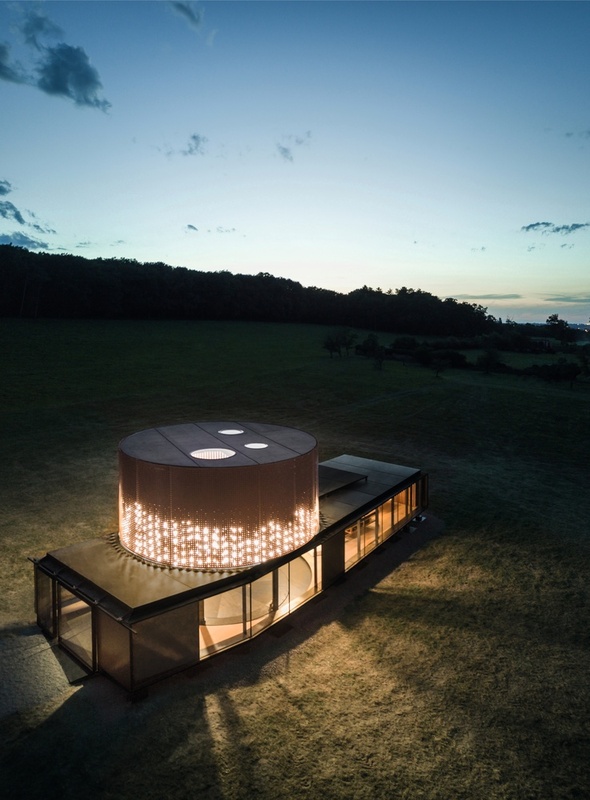 Parked in the smart home, SYMBIOZ also functions as an extra modular: a comfortable and mobile room. 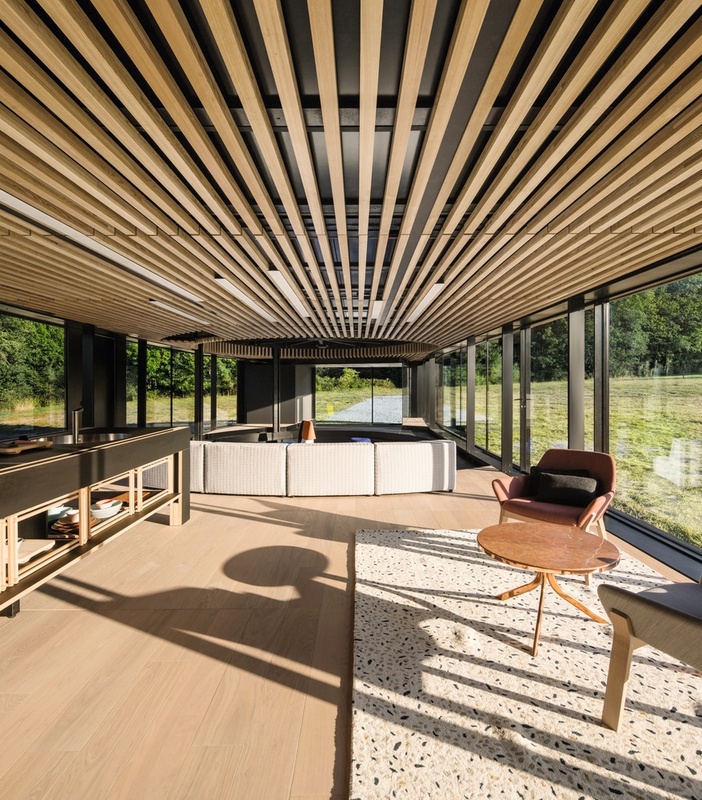 Its interior was inspired by the design of living rooms. 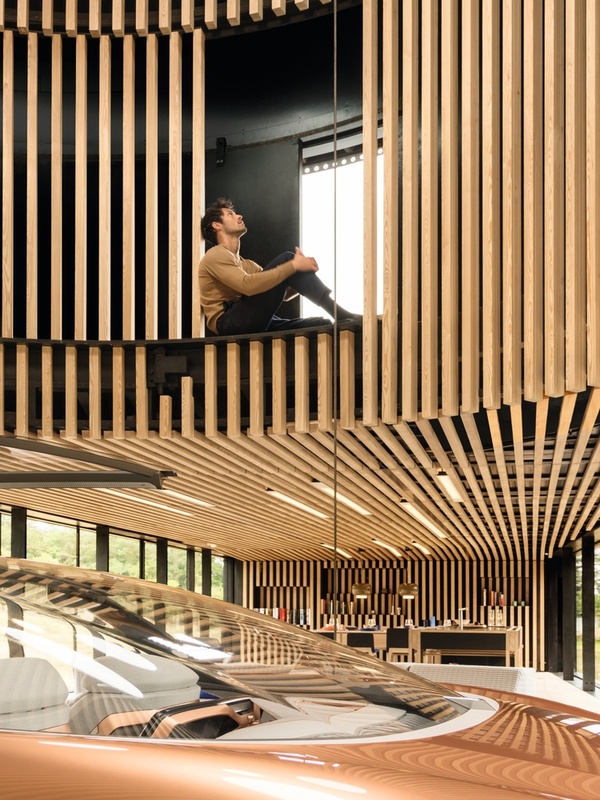 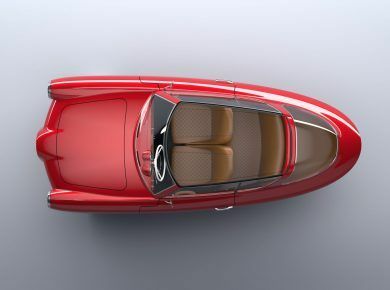 As an elegant open or closed space, the car connects with all kinds of devices and appliances in the home, making it an ideal place to work or relax. 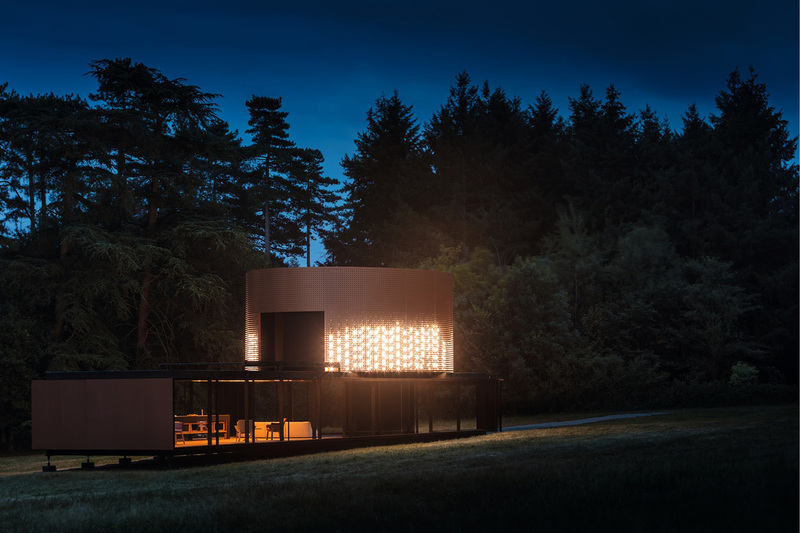 Its operating system interacts and controls the lighting of the smart home. 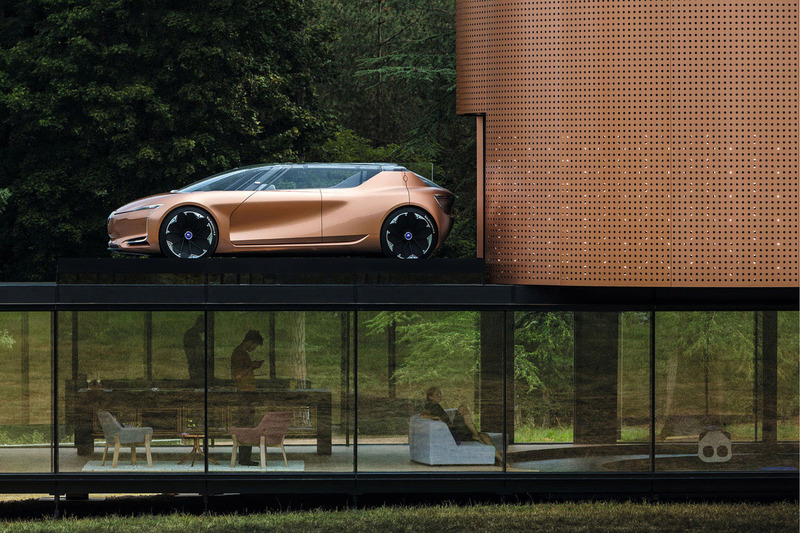 The car is parked on a platform that takes it to the living room or the terrace. 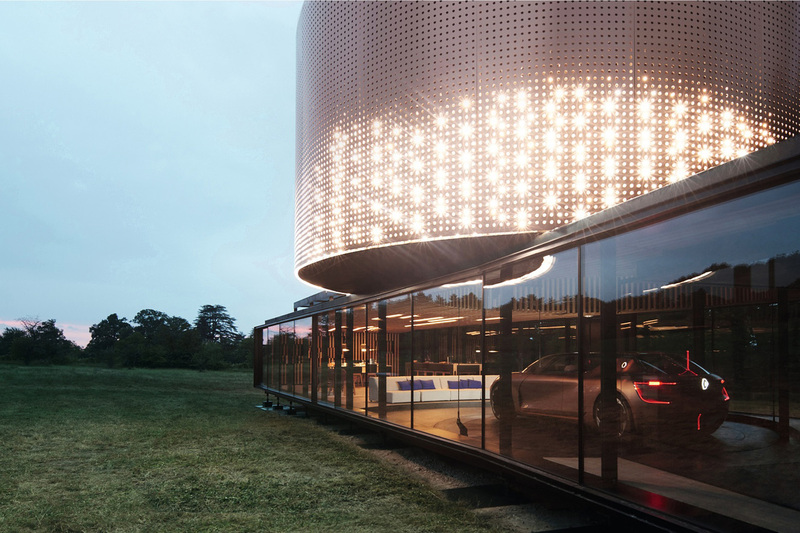 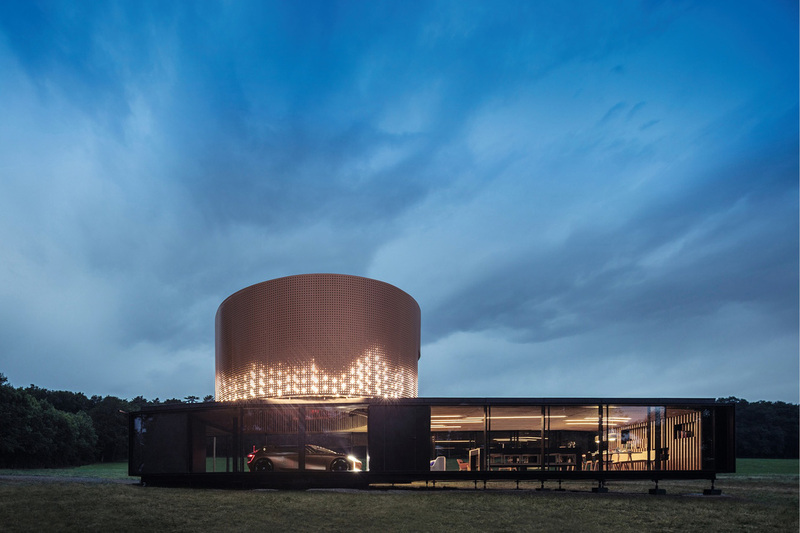 The cylinder of the centerpiece of the house that encloses the platform is illuminated with 5,368 Philips Color Kinetics iW Flex dynamic light points that change its shade of white to illustrate the state of connectivity between the car and the home; for example, when the car is charging or in standby mode.